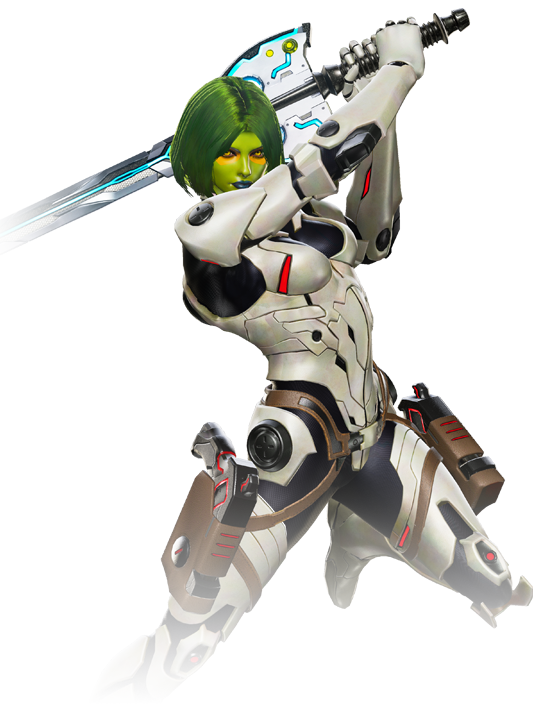 The last of her race, Gamora was taken in by Thanos and raised as a ruthless assassin. However, she turned on her adoptive father and now uses her skills to help those who cannot help themselves. 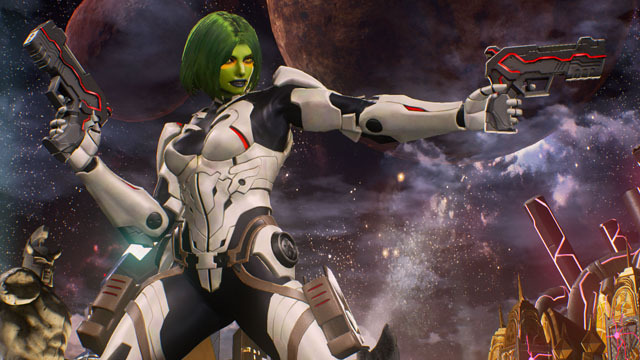 Known as the Most Dangerous Woman in the Universe, Gamora travels with the Guardians of the Galaxy, wielding a fearsome and deadly arsenal… though her ties to Thanos may be her greatest weapon yet.